Residents 50 years and older can play! 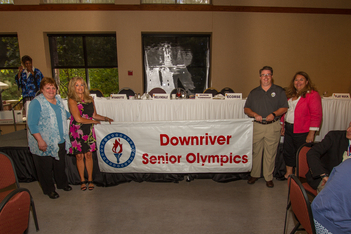 THE SENIOR OLYMPIC BOARD IS PROUD TO HAVE A GREAT TEAM OF WORKERS HELPING TO MAKE THE GAMES A SUCCESS EACH YEAR! Check the Event Results page for details! 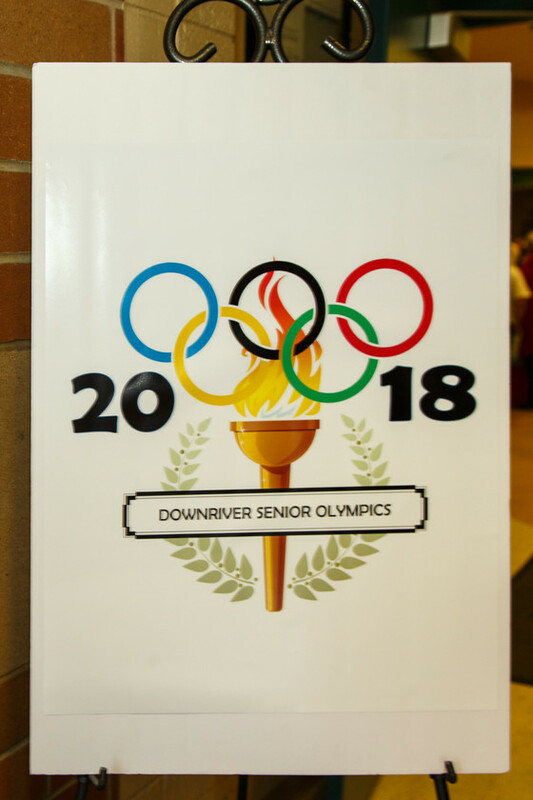 Downriver Senior Olympic games in Southeast Michigan brings fun and friends together for a week of competition, ending in a Unity Awards banquet. Competition for 18 communities in 23 different events! 3 New events were added in 2017: Spelling Bee, Hockey Shoot-Out and the exhibition of the Paddle & Peddle (Kayak and Bicycling). 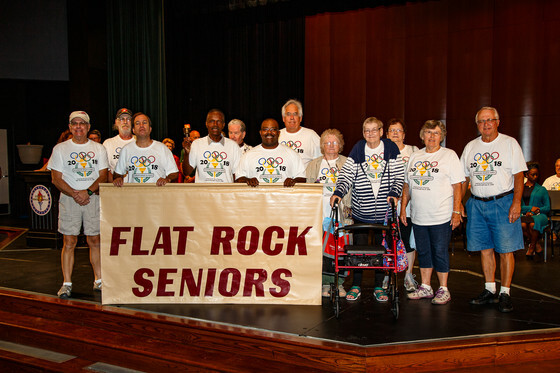 City of Flat Rock hosted the 2018 games! The location for all of the Opening Day festivities was at the Flat Rock Auditorium and the High School Football Field for the games! We utilized Flat Rock's Huroc Park for the Paddle & Peddle and One Mile Run. Contact your Local Senior Coordinator for Information on the Games and Join the Fun!